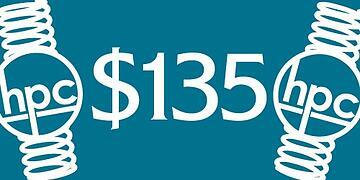 As part of our end-of-year festivities, here is a special offer "Springs for $135" (Promo code: HPC135) for you. The offer is valid only on cylindrical compression or cylindrical extension springs. You will receive the same top-quality fit, finish, function, and reliability of these springs—and you’ll get them at a great price. In order to qualify for the offer, you must place an order that is less than or equal to 25 springs. Existing Customers – Special price is valid only if your order is different from the kind of springs you usually purchase from us. New Customers – If you have never ordered springs from us, special price is valid on all new orders of the above mentioned spring type. Music wire per ASTM A 228 is the best, toughest, and most popular material used for springs. It is widely used for coiled compression, extension and torsion springs. It is cold drawn and not suitable for temperatures above 250 degrees Fahrenheit. It is used in our stock spring line in materials up to .047-inch wire. 302 Stainless Steel per ASTM A 313 is the most popular of the spring-tempered stainless steels. It is also cold drawn. It does not harden upon heating and picks up some magnetism during the cold working process. This magnetism frequently confuses consumers because they have been taught that 302 stainless is non-magnetic in nature. The explanation frequently must be given that the cold work process, not the chemical composition, causes the slight magnetism. This varies based on wire size. The outside diameter should be no more than 10 times the wire diameter and should be no less than 4 times the wire diameter. Active Coils: All of the coils in the helix of the extension spring. Total Coils: On a compression spring there are usually 2 closed coils to make the spring stand straight. Compression: Closed only on wire sizes below .016 inches other wise either close only or closed and ground to 3 degrees. Extension: Regular machine hooks or regular machine loops. Loops are totally closed where as hooks have a gap that you can pass something through. This will be dependent on other input such as number of coils, spring diameter, and wire diameter. We are running this special offer until 31st March 2018. Place your order now so we can start working on your customized cylindrical extension or compression spring order right away.